For top-quality singing and voice lessons throughout all of New York City, including Manhattan and Brooklyn, New Yorkers turn to Music To Your Home. Why? Because we provide top-rated singing lessons & vocal coaching from the most accomplished vocal teachers in New York City. Our team can work with any schedule and offer inspiring one-on-one instruction, every step of the way. Our vocal coaches have performed in operas, on TV, Broadway, and the big screen. More importantly, each one is dedicated to helping people learn the joys of singing. Skip the traffic! Our top-rated coaches will come to you and teach you how to get the most out of your voice. 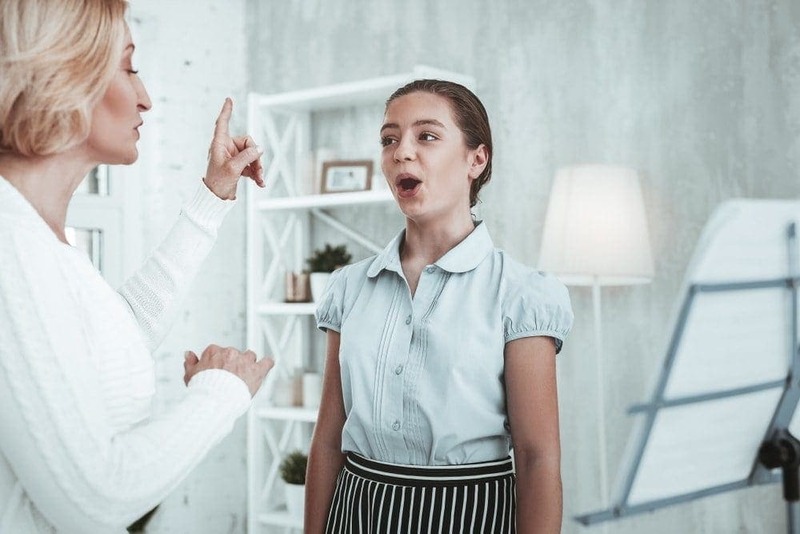 In-home voice lessons are a great way to learn to sing and improve your voice, without having to travel to a studio. Offered via Skype or Facetime, our online lessons are an easy, affordable way to fit quality singing lessons into any calendar. No need to be New York City-based. Since 2003, we’ve made ourselves available to any client, any time of day. When you call us, we pick up the phone. Plus, all voice lessons in NYC are backed by our satisfaction guarantee. No matter your age or skill level, you’ll work one-on-one with one of the best voice coaches in the city. Our coaches have taught thousands of lessons to students like you. More importantly, they love what they do, and are committed to fostering a fun and effective learning environment. Whether you’re looking to learn Broadway, Pop, Rock, Jazz or Opera, we’ll send you a teacher to cover any genre. Need a vocal coach to get you ready for your next audition? We’ve got you covered. Our teachers have prepared students and coached singing technique for American Idol, The Voice, and even coached multi-platinum selling recording artists. After being awarded by the National Foundation of Arts and Awards, Ilana was invited to be a featured singer in the HBO special Masterclass with Plácido Domingo. Ilana holds both a Master’s and Bachelor’s Degree from Manhattan School of Music, as well as studies at the Chautauqua Institution Music Festival. Elise strives to provide students with the foundation and knowledge to explore every nuance of their own artistic journey.Elise holds a Bachelors of Music from the Aaron Copland School of Music in Opera Vocal Performance. Mariah has eight years of teaching experience with all ages/levels of both piano and voice students.Mariah received her BFA in musical theatre from Rider University where she performed in and assistant music directed many main stage productions! Alexia holds a Bachelor of Fine Arts Degree in Vocal Performance from Carnegie Mellon University.Trained in bel canto technique, music theory, ear training, eurhythmics, acting, alexander technique, vocal pedagogy, French, Italian, German, and Greek, she is passionate about inspiring others to cultivate their love for the arts. In order to sing all the music you love, it’s essential that you learn how to read notation on the treble or bass staff depending on your voice part. Learning to read notation will open up an entire world of music to you. Once you get the hang of reading you will be able to sing anything you desire from Opera to Pop music. Your Vocal coach will guide you through the process of learning to read music until you become confident. Air: Singing requires a LOT of breath, in and out. This may seem obvious, but many of us really underestimate how much air we really need to sing. Shape: Unlike a flute, trumpet, or clarinet, the voice is a malleable instrument. You can change the position of your tongue, lips, throat, and the larynx itself, and some positions just won’t work as well as others. Tension: Do you tend to hold your stress in your shoulders or neck? If the muscles around your larynx are tense it can make it difficult for your voice to function freely. Vibration: Pay attention to where you feel the vibration when you sing. If it feels like it is concentrated in your chest or throat, odds are it could cause trouble. Fatigue: We use our voices to do all kinds of things besides to sing (to speak, laugh, cry, cough, yell, etc.) The teeny tiny muscles that make up your voice can become tired with overuse, and just like any other muscle, they will not work as well if they are fatigued. Understanding the basics of music theory is an important area of study when learning how to become a great singer. Your voice instructor will introduce you to the basics of music theory to put you on the right path. For more advanced musicians, our instructors can teach you how to analyze even the most complex opera. After our youngest son saw what fun his sisters were having, he wanted to take lessons too. Thanks for introducing the joys of music to our family. You get a personalized quote from one of our music lesson experts. We’ll identify your goals, areas to improve in, location and musical experience and then pair you with the perfect teacher. The best part is, we send teachers to your home based on your schedule, not the studios. For voice students, a good keyboard is recommended to get the most out of your lessons. We’ll help you find an affordable electric piano, along with any music and other materials you might need. As the best singing lessons NYC has to offer, we’ll help you get everything you need. Your new teacher will knock on your door and open up a whole new world of music technique. If you don’t click, don’t worry—we guarantee satisfaction and we’ll be happy to find you a new teacher. Ready To Take Voice Lessons From A Pro? Finding the full reach of your voice is one of the most enriching experiences in music. Click below to book your first vocal training lesson, all covered by our 100% satisfaction guarantee. As New York City’s leading provider of private music lessons, we’re happy to offer one-on-one instruction for a variety of instruments. Click one of the links below to explore our other services.